An Apparat presentation. (International sales: Easternlight Films, Hong Kong.) Produced by Nandita Solomon. Executive producers, Dain Said, Nandita Solomon. Co-producer, Tim Kwok. Director, writer, Dain Said. With: Faizal Hussein, Zahril Adzim, Pekin Ibrahim, Bront Palarae, Namron, Wan Hanafisu, Amerul Affendi, Hushairy Hussin. With a list of ancestors that includes Shakespeare, Tran Anh Hung, "The Godfather" and the Bible, "Bunohan" serves up a feast of archetypes and violence amid a story that twines like a basketful of cobras to deliver a movie that's ripe as a mango for a U.S. remake. The border-hopping Malaysian plotline defies pigeonholing -- it's a fight film with echoes of "King Lear," and a ghost story about living people who occupy the edge of existence. Specialty bookers could well be turned off by the brutal violence, but a dose of visceral horror is well worth the trip to "Bunohan." Helmer Dain Said mixes together magical realism, the kind of shocking mayhem reminiscent of Tran's "Cyclo" and philosophical digressions that might throw another movie off course. But "Bunohan" (both a village in backwater Malaysia and a word for "murder") never loses the fluid momentum Said achieves right from the opening moments, featuring a vicious Muay Thai fight-to-the-death in Thailand, in which the badly outclassed Adil (Zahril Adzim) is rescued by his best friend Muski (Amerul Affendi). This sets in motion a labyrinthine series of narrative connections which again, thanks to Said's command of his story and medium, only tighten the film's grip on viewers. Because he's betrayed the terms of the match, Adil has to flee Thailand, but hot on his heels is hired killer Ilham (Faizal Hussein, the Jack Palance of Malaysia), who's been hired by the crooked promoter Jokol (Hushairy Hussin) to kill Adil. Ilham left home as a youth, so he doesn't realize that he and Adil are half-brothers. 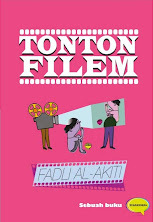 The pic's themes of patriarchy, familial betrayal, adultery and despair are served up amid myriad plot twists: Jokol, who's trying to get control of a local fight club, is in cahoots with Ilham's other brother, Bakar (Pekin Ibrahim), who is trying to get possession of one remaining piece of their father's land, the one connecting his own acreage to the sea. This will allow him to build a development that has already led to the relocation of graves -- including that of Ilham's mother. Ilham's grief and rage are biblical, as is his taste for retribution. Acting is uniformly excellent. The arresting photography includes the occasional trip into hallucination -- Ilham's sequence with a possessed bird, for instance; or a ghostly woman in a gown, wading through an endless green expanse of reeds. The interrelationships are knotty but well defined, the many grudges and grievances always clear. It helps that Said is telling a tale rich in literary allusion, but it's also one aided by its contemporary references: While brothers Adil and Ilham are men of action, violence and basic principles, the loathsome Bakar, the educated one, constantly has a cell phone to his ear and a polo shirt tucked into his Dockers. He's easy to hate; Adil and Ilham, despite their outward simplicity, are captivatingly complex creatures. Tech credits are superb, notably the work of d.p. Charin Pengpanich. For the record, the film's English title according to press materials (but nowhere onscreen) is "Return to Murder." 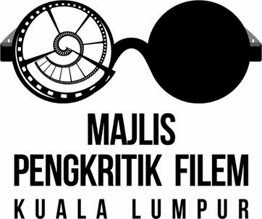 SEPT 17 — Regular readers of my humble weekly musings should probably already know that as a film lover there’s nothing I want more than to see a Malaysian film travel and make waves internationally, not just on the festival circuit but also in terms of cultural presence and box office. As you’re reading this, this year’s edition of the Toronto International Film Festival (TIFF) will be coming to an end. For those not in the know, the TIFF is not a competitive festival like Cannes or Venice, but it has gained a formidable reputation as the place to be when it comes to film festivals in North America simply because it is more or less a summation of the year in film, in which North Americans get the chance to see almost everything that’s hot from festivals like Cannes, Berlin, Venice, Locarno and so on and so forth. Even the major US studios usually use the TIFF as a launching pad for their Oscar bait movies, such is the vibrancy of the festival’s attendance and its word-of-mouth. I’m not sure if it’s on your radar but a little Malaysian film called “Bunohan”, directed by Dain Said, not only made it to the festival for its Discovery section, but from the reports slowly trickling in online has also made quite an impression, judging from the rave reviews it got from Variety and another article in the esteemed Filmmaker magazine. Not only that, the film was also picked up by LA-based sales company Traction Media for sales in North America, in addition to already having Hong Kong-based Easternlight Films handle sales in Asia. Just for the record, Traction Media has handled sales for US indie favourites like the Oscar-nominated “Half Nelson” and “Hard Candy”, which means that cult success in North America does not look so impossible now for this little Malaysian film. And did I mention that the film has already been picked up by Universal Pictures for distribution in countries like the United Kingdom, France, Germany, Australia and New Zealand? When I first read the news I simply couldn’t believe my eyes because not only getting distribution in the aforementioned is already a rare feat, but getting distributed by a big time, major studio is an even rarer feat, especially for a film from Southeast Asia. In fact, even an international sensation like “Ong Bak” and the more recent “Merantau” (sometimes also called “Merantau Warrior”) didn’t get that privilege. So you can imagine how proud and excited I am to see a Malaysian film blaze such an exciting new trail in the international film world. The film is only set for release in Malaysia next year, so not having seen it yet I have no idea what the quality is like. Judging from the trailer and still images released online, I do know that at the very least it’s an impressively photographed and gorgeous-looking film. And judging from the actors involved like Faizal Hussein, Zahiril Adzim, Nam Ron and Bront Palarae, I do know that the acting will at the very least be quite good as these guys can act. Maybe this is the Malaysian film that I’ve been waiting for? I’ll just have to wait till the movie opens here in Malaysia. Personally, what I think is the gold standard for Malaysian films is still that little film called “Kaki Bakar”, directed by U-Wei Haji Saari, which was shot on humble video and intended for local TV, which then got rejected by local TV but somehow miraculously ended up at the prestigious Cannes Film Festival in 1995. Watch it again today and see how beautifully well it still holds up (against international arthouse films, mind you), even after 16 years. Of course “Kaki Bakar” was not and never will be an “audience film”, and it is that bridge between substance, quality film-making and commercial product that I’ve been longing to see all this time, and with all this attention that “Bunohan” has been getting thus far, that bridge may finally be here. Judging from the reviews and interviews I’ve been reading about the film, I’m definitely not expecting a “Kaki Bakar”-type arthouse film. But I’m also not expecting another full-on fight film (with all the silly plotting and average acting that naturally comes with them) like “Ong Bak” or “Tom Yum Goong.” Something like “Merantau” should be good, which is still a fight film but with a bit more soulful acting and a story that’s more grounded in reality and not too silly. Seeing the words “fight film” and “King Lear” bandied about in Variety’s review of “Bunohan”, this might be more in the vein of “Merantau” after all, or maybe even better. Still, even sight unseen, let’s all give three big cheers for “Bunohan”. Malaysia Boleh! Ada lagi review dari Hollywood Reporter, Twitch dan Film School Rejects. tq TMBF, ive read all. Variety is the most important, it is the must read for all producers and movers, shakers of hollywood cinema and beyond (world). dat includes other few mags/news/reports published in UK. Hollywood Reporter is among the best (also read by the producers, but more towards popular, money making movies), and i think u know more than me lah..
but this is a def must..
Fulamak, filem Melayu ni pulak dapat sambutan hangat press di Amerika, lagi terror bila ia Variety. Adakah ni first time filem Melayu dapat sambutan antarabangsa? And adakah Bunohan akan jadi future industri filem tanah air kita?